You will be picked up from your hotel at approximately 12.45-1.00pm, then you will be taken to meet your tour guide. 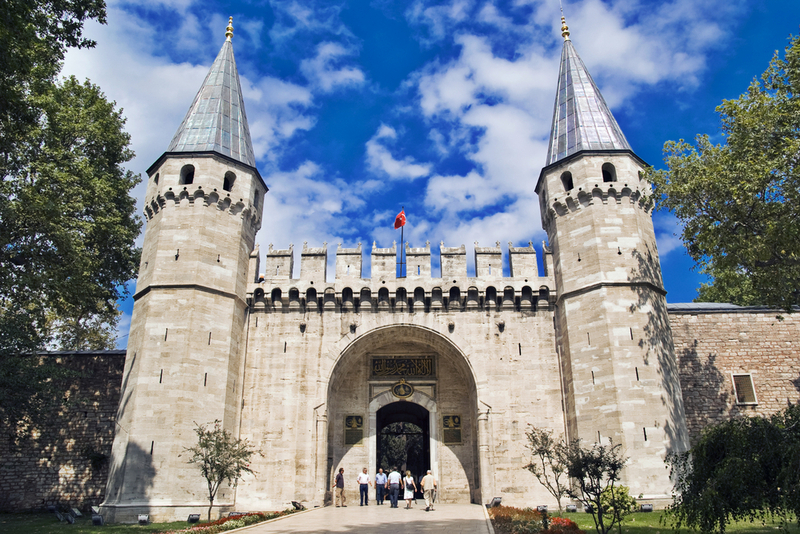 Our first stop is the impressive Topkapi Palace* (Topkapı Sarayı), the primary residence of the Ottoman Sultans and centre of the Ottoman government. It was transformed into a museum in 1924 and declared as a World Heritage site by UNESCO in 1985. As you wander through the Palace and its gardens you will be fascinated by the stories of scheming courtiers and members of the Sultans’ families. Please note that the Harem is not included in the tour, however let your guide know if you would like to visit on your own. 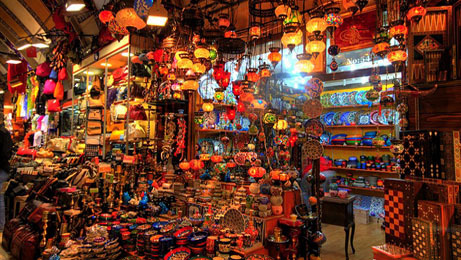 We then stroll up to the Grand Bazaar** (Kapalı Carsi). 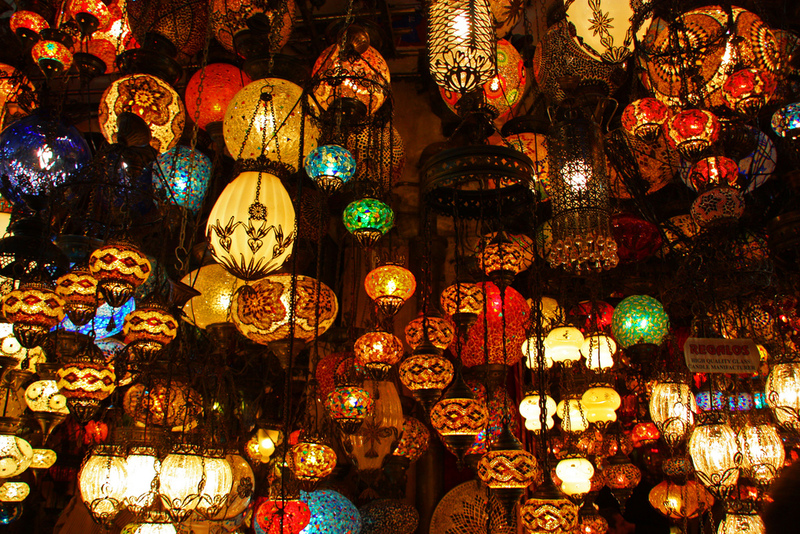 Built in 1461, and home to over 4,000 shops bursting with traditional Turkish goods such as handmade carpets, jewelry, leather and souvenirs, the Grand Bazaar is must-see for any visitor to Istanbul.